We offer two different types of roofing kits - Premium and Standard. Premium Fibreglass Roofing Kits are supplied with Flexible Roofing Resin, Fire Retardant Dark Grey Topcoat, 1 layer of 450g or 600g matting and a selection of tools if required. 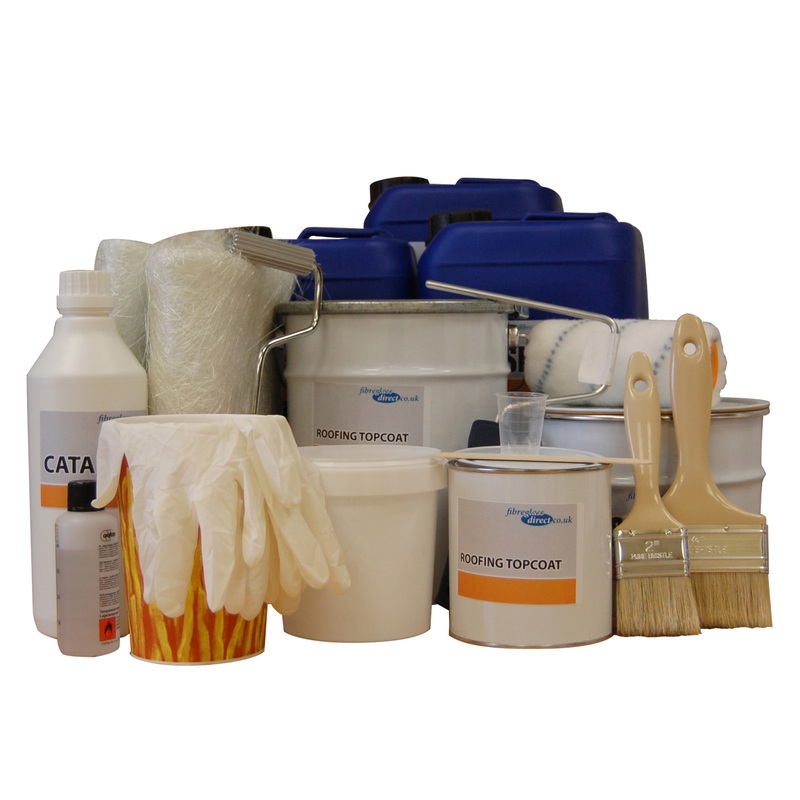 Standard Roofing Kits are supplied with Lloyd's Approved Resin, Standard Roofing Topcoat (in Light or Dark Grey), 1 layer of 450g matting and tools if required. Both Roofing Kits will cure to a tack-free finish and once applied correctly, will require little maintenance.